As we approach one of the holiest times of the year in several great religious traditions (Easter, Passover), I am pausing to consider why it is that we so often see “spiritual not religious” as a designation on various forms, bios and profiles. How did we come to this description? What makes an experience spiritual, or a person more of this than traditionally religious? A short time ago I was part of a study group with Philip Goldberg, a wise man and author of American Veda, The Influence of India On American Spirituality from The Beatles to The Present. In a teachable moment, he invited the group of us to share experiences we might have had that could be described as a purely spiritual occurrence. During the exercise we were asked to not fall back upon religious terms or jargon, if possible. While for some, these kinds of happenings can happen in a traditional church setting, the responses from the group were varied although most contained a single unifying theme. Richard went first, and recounted that early in his teen years, while at a private school that regularly went down to volunteer in a Tijuana orphanage, he observed that none of these children had ever seen the ocean, a mere two hours away. He wondered why, when it was so close? So when he returned to school he managed to convince the administration to consider this idea. Sure enough, upon their next trip to Mexico, a bus brought these youngsters from the institution to their first ocean day — and he was able to share in their shouts of joy and utter happiness, as they ran into the sand and water for the first time. It was a life changing moment and a great lesson for a young man. As for Phillip himself, a scholar of Hinduism, and someone who had visited ashrams and meditated for years, it was the critical hours that he spent with his aging and very ill father at the end of his life that had brought him to his deepest spiritual experience. In spite of sleepless nights attending to chores associated with the bathroom incidents, the cleaning up, the emergency room and paramedics, he felt overwhelmed by a profound sense of peace and gratitude. When it was over he thought about his own reactions, that he had never failed to maintain inner equanimity, nor had he a single thought for himself for six hours. And why? Because, he realized, he had taken care of this man whom he loved — although not without its difficult times — for his entire life. Then Hannah spoke of a fragrance of roses enveloping her; it was an unexplained standstill moment that left her with a deep sense of calmness. She said it made her feel protected with a knowingness that there are unseen essences and spirits (some may call them angels) who help us. Apparently, there are many unexplained occurrences that science has yet to explain. There are also many places on this earth containing special “grids” of energy that promote this sense of sacredness and spirituality, such as Macchu Picchu, Stonehenge, Mecca, and Chichen Itza. Cathedrals have been erected upon ancient religious temple sites that contain such known magnetism in many places around the world. These various “houses of God” carry their own special transcendence, of course, and sometimes more so when empty. 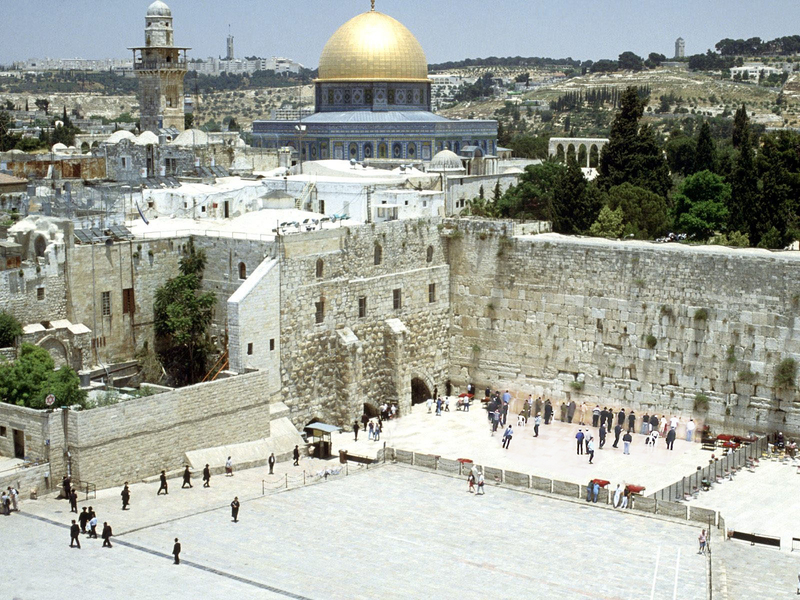 A great example of these would be the city of Jerusalem, where powerful architecture, sacred stones (Dome of the Rock) and intense human experiences have coalesced for thousands of years to become the holiest of centers to Judaism, Christianity, and Islam. It was my turn to speak and I hesitated. I could only think of a visit a short time ago from a husband and wife whose 30 year old son had committed suicide four months earlier. The husband and his physician wife were struggling in their deep grief to make sense of this tragedy. And aside from the anguish and self-recriminations, they were experiencing unexplained episodes of peacefulness, even transcendent calm, which, when I had spent two days with them, settled over me as well. Many conversations about their boy’s short life ensued, and in sharing the intimacy of their grief, my heart opened along with theirs. It was a profound spiritual occurrence for me as well as for them. But were all of our spiritual experiences “purely spiritual”? A devoted service to a father at the point of death, giving a group of children the delight of their first experience of the ocean, and the grief that attends the death of one’s child — couldn’t they also been seen as religious experiences? Care for the ailing and less fortunate are bulwark principles in most religious systems and provide a practice through which doorways are opened into our better selves. Could it be that holiness and a spiritual resonance are seeds deeply embedded within us, whereas religion or “return to the rules” (its Latin meaning), provides us with a form with which to structure this well of inner radiance? Yes, I’m beginning to think so. So, I say: make that Spiritual and Religious.